The next time you meet with your financial adviser, you may be asked to supply a trusted point of contact, which is a relative or friend to call if the adviser has a reasonable belief that you might be a victim of financial exploitation. Perhaps you've suddenly decided to liquidate your conservative investments and deposit the money overseas. Or a niece you never had much contact with is back in your life, asking for money. Your adviser also could put a temporary hold on a suspicious disbursement request from you, so your money is safeguarded until the concern is investigated. Typically, once money leaves an account, it's difficult to get back. These changes are included in several new laws and regulations to protect seniors and their money. For older adults, financial exploitation is a growing problem. AARP's Public Policy Institute reported in 2016 that one in five older Americans falls prey to financial exploitation each year. Victims lose $3 billion annually, and seniors with well-funded retirements are prime targets for scammers, says Mark Bauer, a Stetson University College of Law professor who specializes in consumer law. Some people may have a certain naivete about fraudsters, along with good manners, he says. That combination can make people "susceptible to scammers who play on their trust," Bauer says. Scams range from bogus investments to alleging that an electric bill is overdue and threatening to turn off the heat and power unless a senior withdraws money and sends it immediately. Sometimes callers tell seniors they have an unpaid traffic ticket and their driver's license will be revoked if they don't pay. "It's scary for anyone, but especially for a senior," Pieciak says. The regulations and training benefit the industry, but financial professionals are "doing what's in their clients' best interests as well," says Lori Neidel, a Columbia, Mo., compliance lawyer. An investment adviser trained in spotting elder abuse, for example, might be the first to notice suspicious changes in how an older adult is handling his money. So, in the future, if a bank teller notices an elderly customer confused about withdrawing money or making puzzling transactions, the teller could flag that behavior to a superior, who could contact authorities, if necessary. The law is "a good first step, but more needs to be done," says Bauer. Details on the training and reporting still need to be figured out, he says. It's also unclear when the new law will take effect. On the state level, 19 states so far have adopted some version of a NASAA model act that gives guidance to registered investment advisers and broker-dealers on notifying a trusted point of contact and putting a temporary hold on a client's account to investigate financial fraud. Details differ by state; click the "Contact Your Regulator" button at nasaa.org for your state. Five more state legislatures are considering similar rules this year, Pieciak says. "We're trying to get to the halfway mark," he says. The trusted contact is different from a durable power of attorney; your adviser can't use that contact to transact any business, for example, and the power of attorney supersedes it. But if the adviser notices worrisome signs leading him to believe you may be a financial exploitation victim, such as sudden withdrawals from your account, he can reach out to your trusted point of contact. He also must report suspected financial abuse to adult protective services, law enforcement or securities regulators. And, if the adviser believes that contact may be the source of the exploitation--an adult child, perhaps, who may be targeting your money--the adviser can bypass the contact and go to authorities directly. If an elderly client talks about a guaranteed investment he saw on T.V. and wants to withdraw all his money, an adviser might consider that as a possible basis for a temporary hold. But advisers aren't trained in diagnosing cognitive decline. If they notice a client confused about his money, they would reach out to the trusted point of contact, Pieciak says. In Texas, which adopted its law in 2017, advisers have referred 100 cases and 25 investigations were opened, Pieciak says, including one involving an 88-year-old who was about to be scammed out of $30,000. "The law is already paying off, and it's working the way we wanted it to," he says. The rules include a trusted point of contact, which Finra requires broker-dealers to obtain when clients open new accounts or update existing ones, and the ability for broker-dealers to do a temporary account hold. 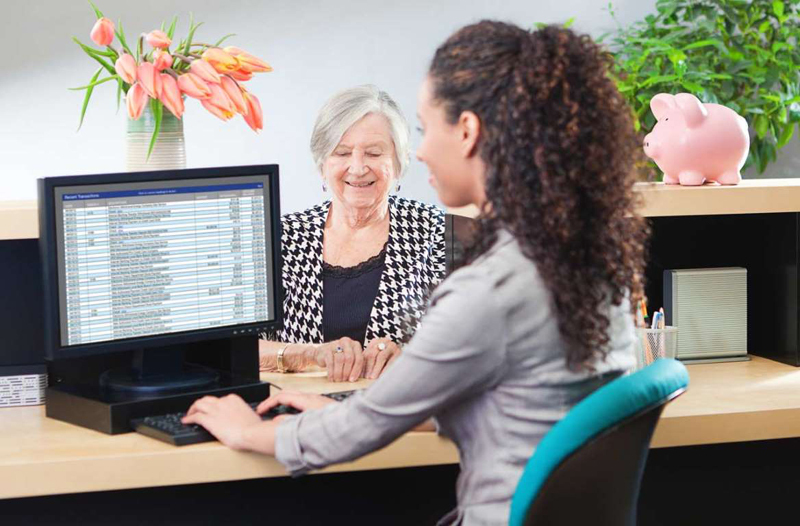 The trusted contact rule also is aimed at helping older clients keep track of their accounts, which can be a problem when they suffer cognitive decline. Sometimes broker-dealers can't reach older customers when they lose their phones, Wrona says. All the recent rules and laws complement each other, although they have different approaches, Pieciak says. Going forward, he says, the financial industry is trying to find ways to work together to provide consistent guidance and training. "It's important to help get everybody on the same page," he says. In the meantime, there are steps you can take to help keep your accounts, and accounts of aging loved ones, safe. If you get a call pushing a low-priced stock or other investment, for example, don't feel guilty about saying "no, thanks" and just hanging up the phone. Also, take your name off solicitation lists to reduce unwanted sales pitches. And register your phone number with the National Do Not Call Registry. Finra has more advice at finra.org (search "For Investors"). You can also go to serveourseniors.org and click on the "Investors" section to review tips to protect your nest egg. Among the advice: Beware salespeople who prey on fears of outliving your savings to sell you investments. Relatives and caregivers also should monitor a loved one's financial behavior for red flags, such as repeated cash withdrawals.